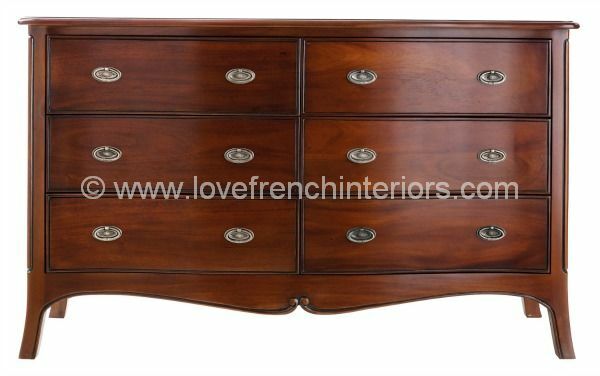 This beautiful 6 drawer wide chest from our Paris Mahogany Collection is a stylish piece that has a hand polished finish and brass handles. 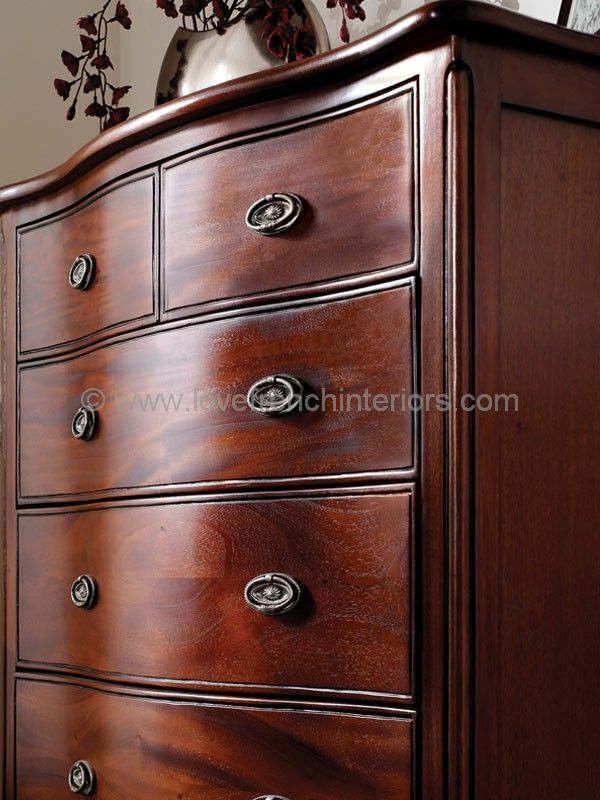 This collection comprises of high quality furniture that has been made using solid wood. 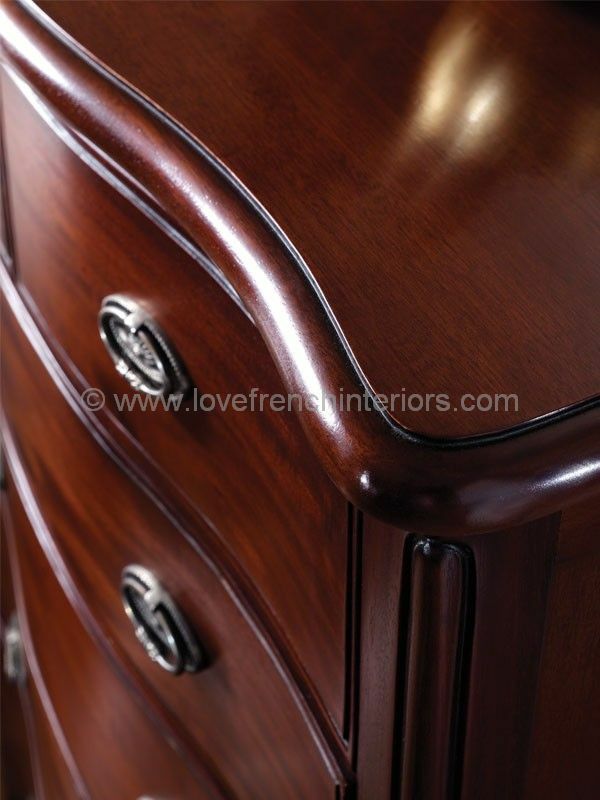 Each piece has delicate hand carvings, elegantly curved shapes and has been made using traditional dovetail joints on the drawers. Also available in other sizes. This is a Bespoke Collection that is made to order in a process taking around 6 - 8 weeks.